English folklore is crammed with variations on the ‘king in the mountain‘ story. In these tales, legendary heroes sleep away the centuries in some remote or hidden place. There’s a version of the Arthurian legends that claims Arthur and his court lie suspended in time beneath Sewingshields Castle. But the stories often focus on kings or emperors. What about other heroes slumbering until they’re needed? And what about heroes who invent their own legend? 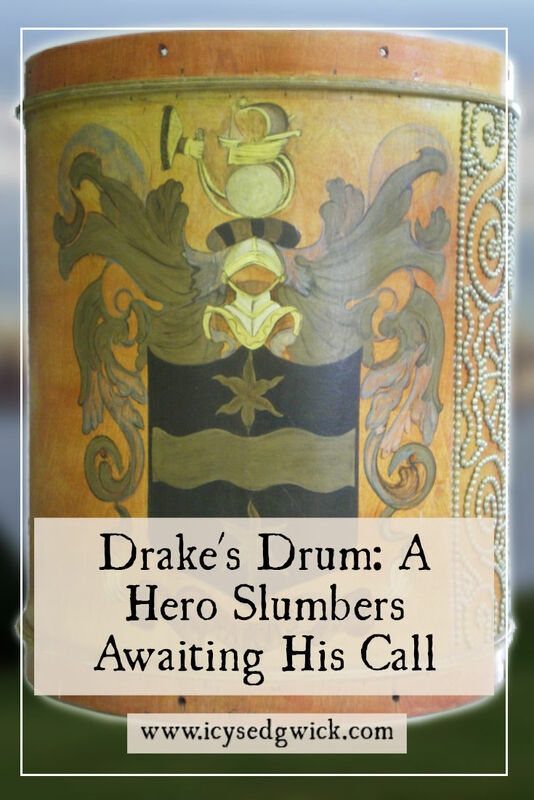 Let’s investigate the legend of Drake’s Drum, a variation on these stories. 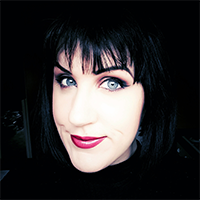 Hit ‘play’ to listen to the post or keep reading! An explorer, navigator, and privateer! (In other words – a state-sponsored pirate). Born in 1540, he died in 1596. 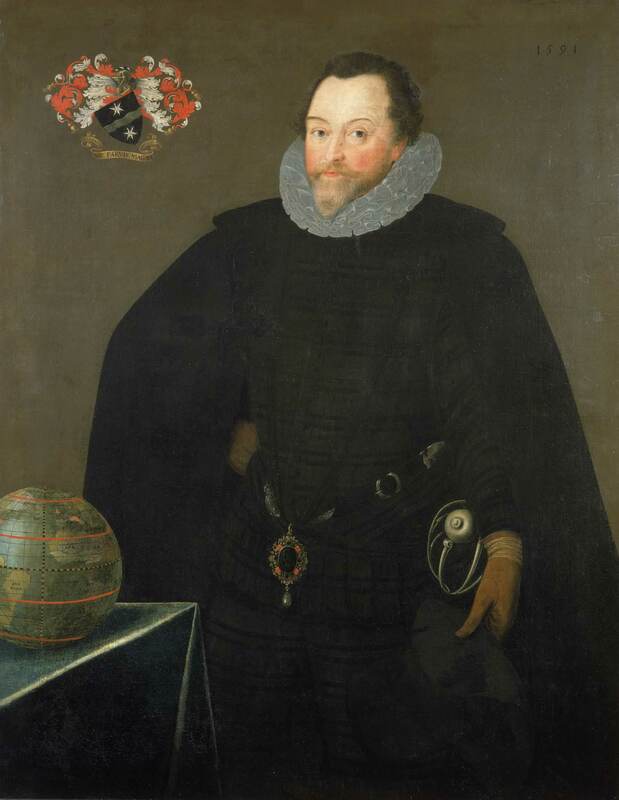 He was knighted in 1581 and was second-in-command of the English fleet against the Spanish Armada. His role in these battles is what most people know him for. The British consider him a hero, but the Spanish nicknamed him El Draque or The Dragon. They considered him to be a pirate! And what exactly is Drake’s Drum? Basically, it’s a snare drum. Drake took it with him when he circumnavigated the globe. In his legend, he instructed that if England were ever in danger, someone should beat the drum and he’d return to defend the nation’s shores. It’s a rare instance of the hero creating his own ‘king in the mountain’ story. Victorian poets Alfred Noyes and Henry Newbolt both wrote poems about the legend. Sir Charles Villiers Stanford later set Newbolt’s poem to music. Both of these helped to cement the legend in the national consciousness. It’s a nice story. But there’s always a ‘however’. There’s no actual evidence that Drake took the drum on his travels. It dates to the 16th century but a number of drums were listed in his inventory. Why this drum? Some believe its beat is heard around the world because Drake took it everywhere with him. While it’s entirely possible it was on his ship, we can’t know if he ever used it himself. Many point to Drake’s words on his deathbed. He told his family to take the drum to Buckland Abbey in Devon. The instructions for use seemed simple. But Susan Jackson thinks Drake created the legend by accident. Drake was dangerously ill in the days before he died. His family may have taken his delirious ravings seriously and singled out the drum. Drake’s immediate descendants put it in Buckland Abbey and it’s been on display since the 18th-century. Well, not quite. The drum on display is actually a replica. The original is in climate-controlled storage elsewhere. And in the early 19th century, folklorist Robert Hunt interviewed an ex-housekeeper from Buckland. According to her, Drake would rise and “[have] a revel” if he heard the drum. That doesn’t much sound like he’d be defending the nation. Has Drake’s Drum beaten of its own accord? According to John Mount, it has. In 1918, officers of the HMS Royal Oak heard a drum beating below decks on their battleship. An excerpt from The Outlook, dated April 26, 1919, describes how the drumming was first heard after the officers on board HMS Royal Oak saw the approaching German fleet. The officers believed the Germans would attack. But the drumming continued while the British fleet closed around the German ships. No one could find the mysterious drummer. The drumming stopped when the ship dropped anchor. during the Dunkirk evacuation in 1940. I’m not sure why the Mayflower leaving would need Drake’s presence. And there are certainly no reports of a ghostly English fleet off our shores at each of these points. And if that wasn’t enough! An extra ancient legend accompanies the drum, that it should remain in its rightful home or the city will fall. Much like the ravens in the Tower of London. Buckland Abbey was partially destroyed by fire in 1938 and the drum moved to Buckfast Abbey for safekeeping. But Plymouth was later devastated in the air raids of World War II. According to Ursula Hill, after the raids, people recalled the prophecy that if Drake’s Drum was moved, Plymouth would fall. The authorities returned the drum to Plymouth and no more raids plagued the city. In 2018, proposals emerged to move Drake’s Drum from Buckland Abbey to Plymouth’s redeveloped museum The Box, due in 2020. A local resident started a petition to have the replica drum kept in the abbey. Over 1,100 people signed the petition. Has anyone ever tried beating Drake’s Drum? I can’t find any mention of anyone actually trying that. I don’t think beating the replica would do much, other than annoying staff. And this is where the stories get muddled. The legend claims Drake will return to defend the nation if he hears his drum. If you believe the stories, it’s beat on at least five occasions. And no Drake. Wartime survivors recall the movement of the drum out of the abbey, followed by Plymouth’s destruction. The drum’s return marked a period of relative safety for Plymouth. Except the drum was moved when it went into storage. As far as I know, Plymouth is fine. So perhaps the legend of Drake’s Drum is much like the stories of King Arthur. They’re a form of insurance against the worst happening. If all else fails, we can recall these ancient heroes and restore the balance. Let’s just focus on keeping the worst from happening, eh? Have you heard about Drake’s Drum? Let me know below! And if you enjoyed this article, add your email below to get weekly notifications of new posts. You’ll also get my recommendations of five excellent folklore podcasts!